If you’re a Florida homeowner in need of a locksmith, here’s something to consider: in the State of Florida, locksmiths don’t need to be licensed. Not yet anyway. Because of this, it is very easy for someone who has no intentions of being a bonafide locksmith, set up shop as a locksmith and scam people. For as little as $15, the person can purchase “bogus” business cards and make people think he is in it for real. People in need of a locksmith may call these con-men with a legitimate request to change locks or set up a safe in a business or home. The “locksmith” can keep the combination or copies of keys and later rob them without much effort. In an effort to prevent this scenario, bills have been filed in the Florida legislature, that would require licensing for locksmiths and make it a criminal offense to impersonate one. The measure would make it harder for this type of scamming to continue. Legitimate locksmiths welcome the licensing. They don’t want to be affiliated with those who would commit these crimes. So until this comes to pass, how can you protect yourself? 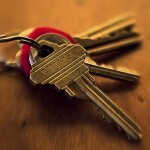 If you live in Miami-Dade, the county has already put a locksmith ordinance into effect. It requires that anyone working as a locksmith be registered with the Miami-Dade County Consumer Services Department, Consumer Protection Division. To verify if someone is registered, you can call the Consumer Services Department at (305) 375-3677. Additionally, the ordinance requires that the registration number be listed prominently on advertising (including business cards), and on all forms, invoices, commercial trucks and vans. Look for these. ask the locksmith for their registration #. A legitimate one will have it on all the items listed above. obtain more than one estimate if possible. don’t choose a locksmith on the basis of price alone. keep accurate records of work performed & amounts paid. As always, it can’t hurt to be too careful. This entry was posted on Tuesday, March 9th, 2010 at 6:38 pm	and is filed under Community News. You can follow any responses to this entry through the RSS 2.0 feed. Both comments and pings are currently closed.